This past week, #MSWL was trending on Twitter. Although #MSWL tweets are made throughout the year, semi-annually, there is a designated day where agents and editors use the hashtag to share their wishlists with the world. The abbreviation is short for ManuScript Wish List, and it’s my favorite day, because I get to ask the universe for a story I want to see in my heart of hearts, and I actually have a pretty good chance of getting it. 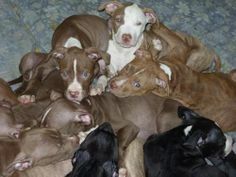 If only manuscripts came in puppy form. This #MSWL round, I found myself asking for, above all else, books with diversity. Racial diversity. Religious diversity. Economic diversity. Diversity of class. Non-binary gender identities. Media that passes the Bechdel test. Diverse sexual identities. And not surprisingly, most of my fellow agents and editors were too. This is because literature is both imaginative and representative. It reflects who we are, and who we want to be. And as a reader and as an agent, I want to be part of a world where I can open up a book and learn something new about the human condition because the characters are different than me. I also want to be a part of a world where I can acknowledge these differences, but also see myself in the people I meet along the way. While there are countless ways to represent diversity in books the way it is in life (see: intersectionality), in this post, I’m going to talk about something I like to call “the Neil Gaiman Effect,” which concerns racial diversity in books. According to the United States Census Bureau, POC (or “people of color” for those of you not quite hip to the lingo yet) account for 37% of Americans, and this number is growing. Media is slowly catching up, figuring out that American ≠ white, but it’s not there yet. Unlike movies and music, books are written by one (sometimes two) people. Most of the time, unless you go to a reading or track down a video interview, all you know about this person is their name and a little blurb on the cover. If you’re lucky, you get a picture. But not often. What this means is that it is very easy to be unaware of or to dismiss the author’s racial identity, and most people, even if they are a POC themselves, still automatically race people as white sight unseen. 2. Descriptions of people in books rarely declare a character’s race. This means that we, as readers, have to cobble together a mental image of a character based on hair, eye, and sometimes skin color. Consuming media for our entire lives that automatically defines “normal” as “white” teaches us to subconsciously assume characters are white without question. Rue. Pretty much the best. There are two separate opportunities for a reader to race a POC incorrectly: the author and the characters. Much of this is so automatic that even when race and ethnicity are hinted at and combat our conception of a character as white, we ignore it. Take, for instance, the controversy surrounding the Hunger Games trilogy casting. 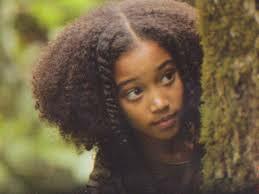 Rue, a beloved character in THE HUNGER GAMES, is described as having “dark skin” to contrast Katniss’ olive skin tone. While it would be an assumption to race Rue as definitively black, she is most definitely not caucasian. But when the studio casted an African-American actress, many people were furious. The anger for some was just straight racism: some people were uncomfortable with such a positive and sympathetic character being black. But for most, the upset was just caused because the image of Rue in the movies was nothing like how they pictured her, because they had raced her as white. This upset is a cause of institutional racism, of a culture that automatically assumes that people in literature are overwhelmingly white, even though it doesn’t accurately represent the world, or the way the author perhaps intended. What I was looking for in the #MSWL twitter feed, then, was not only books from POC about clearly-raced POC, but also books that create the Neil Gaiman effect. 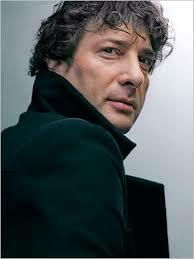 Neil Gaiman, a white author, has been made famous by producing books like AMERICAN GODS and ANANSI BOYS. What’s amazing about these books is that it has characters that are POC of unspecified ethnic backgrounds but are unable to be raced as white. In short, he subverts a reader’s tendency to automatically race a character as white. What Gaiman does is subtle. 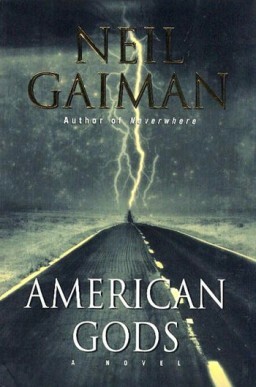 Instead of defining his characters’ identities and hitting the reader over the head with it again and again, he works in gradually shifting descriptions (Shadow, the protagonist of AMERICAN GODS, has multiple eye colors throughout the book), and conversations within the text that address the ambiguity of his MC’s race (see chapter one of AG). For Gaiman, race is just one facet of a person’s identity, just as it is in reality. He acknowledges it, but doesn’t let it become all a character is. These books are not just about people of color. They are books that cause us to question our fundamental views of race and the world. They make us question what we consider to be “normal” while still giving us characters we love. They do what literature is meant to do, and they do it with diversity. That was something I found deeply problematic with the attempt by some people who had a lot of money and a lot of clout, and who wanted the rights to Anansi Boys, at one point. Somewhere in there, they made the fatal mistake of saying to me, “And, of course, the characters won’t be black in the movie because black people don’t like fantasy.” They were suddenly very surprised that we were no longer interested in selling them the book. So when you’re reading and writing, ask yourself if you’re representing the world in a way you’re proud of. 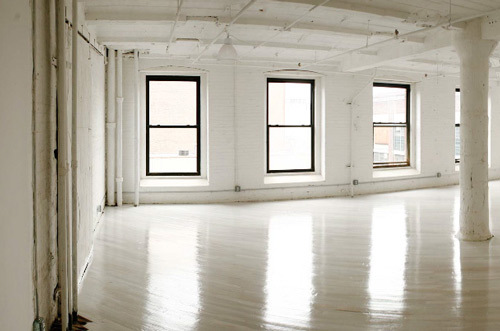 Are you leaving holes for your readers to whitewash your story? Or are you working to make them question why they perceive race and ethnicity the way they do? Are you working to make diversity the new normal? I think – from the author standpoint – part of the problem is how we discuss race. I made a conscious effort to include a multi-ethnic cast in my current WIP, but that doesn’t necessarily come across to the reader unless they’re paying attention. We would all look down our noses at an author who introduces a new character as “her African-American friend” or “his Hispanic boss,” because that’s Just Not Done. So we as authors are stuck trying to slide into it sideways – descriptive comments about hair, about skin tone, attempts to use stereotypically ethnic names. Which is fine when we’re talking about the hero or heroine, who get top billing and lots of screen time (as it were), but much harder when dealing with side characters. I envision my heroine’s best-friend-slash-business-partner as African-American. But short of shoehorning in blunt references to her natural afro-textured hair or her dark skin – extra descriptions my white secondary characters don’t get – the reader will end up assuming she’s white because that seems to be the default. And if I don’t shoehorn those references in early enough, the reader will go through half the book assuming she’s blonde and then be shaken out of a later scene. You’re right. It is a tough things for authors to do. I find I like a combination of dialogue hinting at things (it could be as simple as talking about sunburn) and descriptors regularly sprinkled in, just to nudge the point throughout the book. But it’s definitely something we all have to play with and edit for again and again when going through beta rounds.